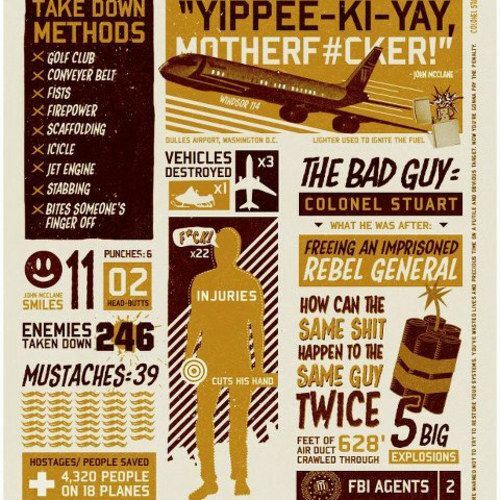 With A Good Day to Die Hard hitting theaters tomorrow, it's a good time to revisit the entire Die Hard franchise. Today we have a new series of infographics that break down the first four movies by the numbers. For instance, did you know that in the first Die Hard, Bruce Willis' John McClane saved 36 hostages and took out 22 bad guys? Take a look at these informative images to learn more about Die Hard, Die Hard 2: Die Harder, Die Hard With a Vengeance, and Live Free or Die Hard.